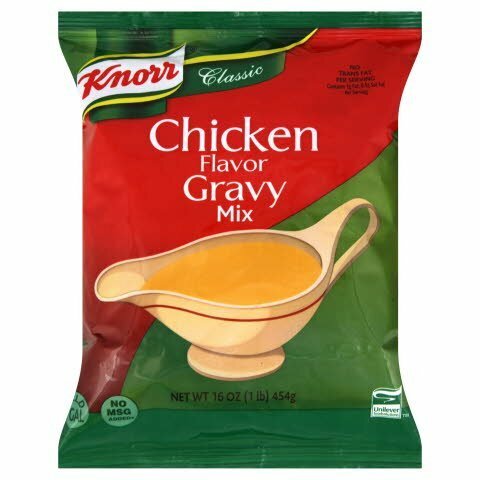 Made from natural chicken stock. Perfect as an accompaniment to poultry or in casseroles. Modified corn starch (sulfites), maltodextrin, salt, whey (milk), dextrose, palm oil, chicken fat, autolyzed yeast extract, turkey powder, chicken powder, onion powder, titanium dioxide (color), gum arabic, caramel color, disodium inosinate, disodium guanylate, turmeric (color), natural flavors, torula yeast, chicken flavor, spice, lactic acid. Gravies deliver superior quality that foodservice professional can rely on to perform every day. These products have convenient, labor-saving formats, a broad selection of classic flavors along with specialty and regional favorites, and easy preparation that takes only minutes.